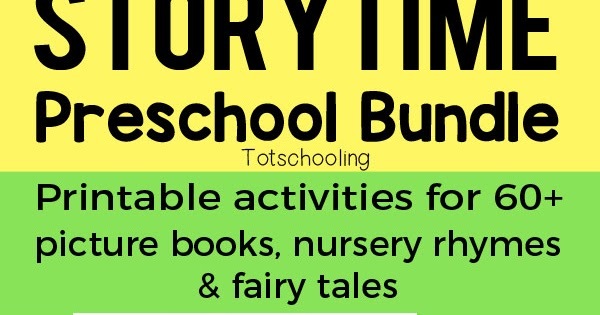 Huge bundle of preschool printable activities based on 64 popular picture books, nursery rhymes and fairy tales. Kids will love learning math, literacy and fine motor skills with all of their favorite characters from their favorite stories! Pete the Cat, Chicka Chicka Boom Boom, Goodnight Moon, Brown Bear, No, David!, Pigeon series, Elmer, Corduroy, If you Give a Mouse series, Mouse Paint, 3 Little Pigs, Goldilocks & the 3 Bears, The Gingerbread Man, Humpty Dumpty, Itsy Bitsy Spider and so much more!